All tech giants are busying to manufacturer their own smart speaker with the virtual digital assistant. At first, the Amazon and Google Launched their smart speaker, the Amazon Echo, and the Google Home. But both companies are working to make better their smart speakers, Amazon bringing Alexa to every device, while the Google make it more advanced and powerful. Recently the Apple has announced its HomePod smart speaker, and the new tech manufacture Essential has also been unveiled its smart speaker. However, the Essential Home speaker has not begun shipping yet. 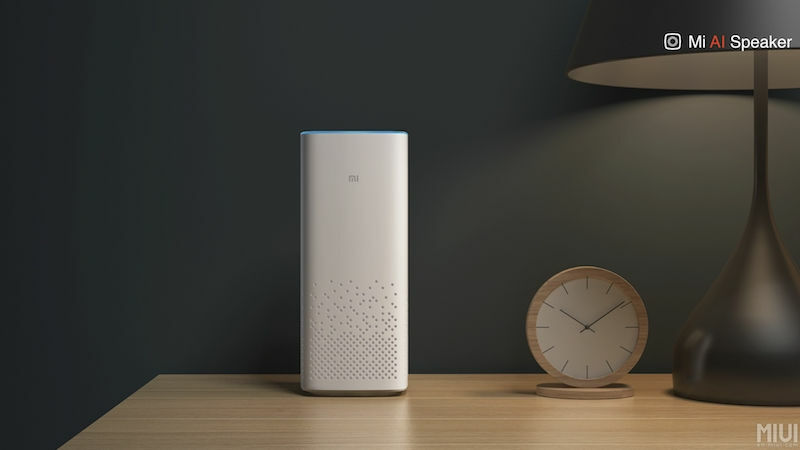 Moreover, in an unexpected move, Xiaomi has just launched its own smart speaker, known as the Xiaomi Mi AI Speaker. The newly arrived speaker is the cheapest smart speaker, which cost $50 less than as compared to the Amazon Echo. The new device is powered by the digital assistant, which will let you allow speaking to it. As I mentioned above, it works like other smart speakers. Means you can ask it question related to the weather, news, measurements. It is also able to set a reminder, alarm or timer as well. You can control it your home appliance through this smart speaker. The company claims that the speaker is compatible with Xiaomi products and as well as over 30 smart products from Xiaomi’s partners. The Mi AI Speaker has also come with the support for advanced echo collection for music play back and audio books. You can control the speaker via a mobile app, and on the top of the speaker, you get controls for music playback and there is also a blue LED notification band. The Xiaomi Mi AI Speaker is available to purchase in China and priced at RBM 299 (around $44).